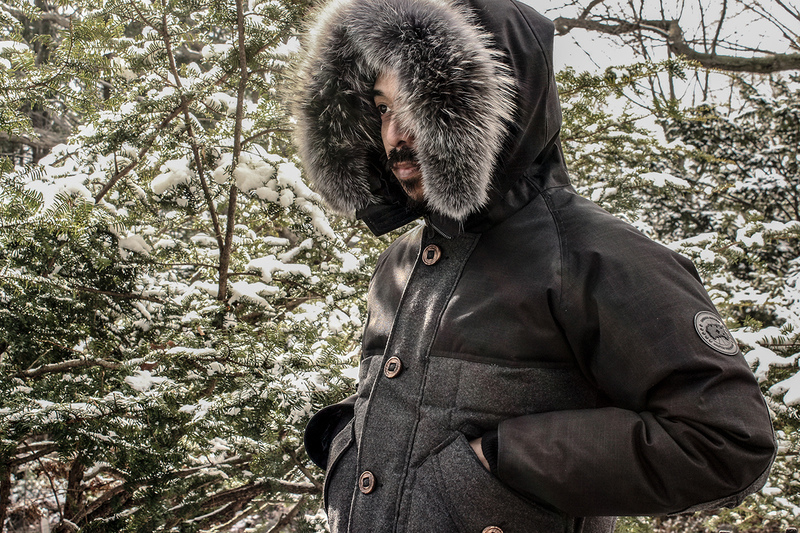 Toronto-based outpost Uncle Otis and Canada Goose have joined forces for a collaborative piece for the 2014 Fall/Winter season. The outcome being the Otis Parka. Building on its over 20 years of experience, the bespoke quilted charcoal jacket list among its features a Loro Piana wool exterior, a removable charcoal-dyed coyote fur-trimmed hood, three-way front pockets, and custom-designed wood buttons. The Otis Parka is set to be released on September 30th at the Uncle Otis store in Toronto or online for $1,150 USD.